Planning a trip to Europe? 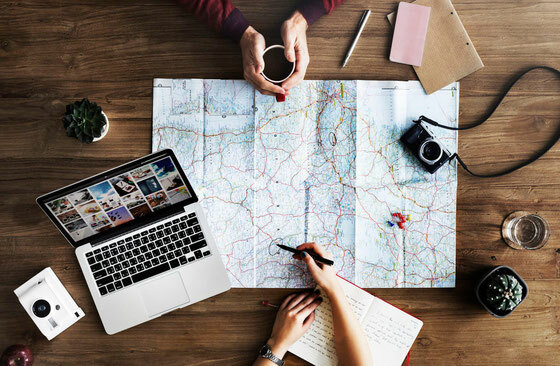 Use these tips to plan and pack the most efficiently (and be a super savvy travel girl), while saving plenty of room for souvenirs and looking and feeling great. With more than three dozen stamps in my passport and at least seven solo overseas trips in the books, you could say I'm a fairly seasoned traveler. 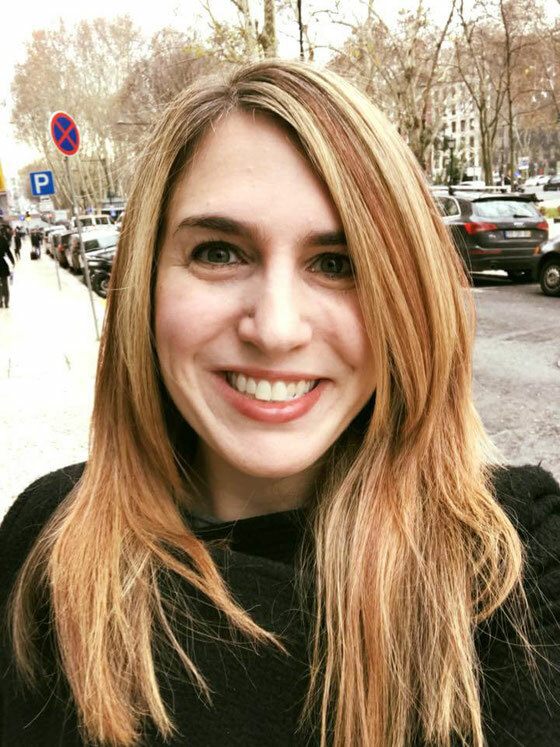 Some friends recently suggested I share my best travel tips, and I've decided to do that here. I hope you find these useful, and I encourage you to add your own tips in the comments section! Don't leave the country without downloading Google Chrome for Mobile oto your smartphone. It will translate any web page to English for you! You can also use the Google Translate app to translate some images. My boyfriend and I discovered this while in a hospital in Berlin, when he was given papers in German to sign. The app is super helpful in case of non-emergencies, too! Set up international cell service. But don't get tricked into signing up for a $10-a-day plan, unless you're traveling for less than a week. My provider is AT&T, and every time I call to set up international service, the customer service rep tries convince me to spend hundreds of dollars during my trip so I can dip into my existing pool of minutes and data. What I request instead: A $60-per-month plan providing more than enough data for me to use my smartphone's Maps app and minimal web searching. If you travel frequently, consider purchasing a separate smartphone with an international SIM card, and that way you won't have to activate anything on your regular phone. An international SIM card can cost as little as $10. While the above-mentioned plan allows me to make $.35-per-minute phone calls while abroad, Skype enables me to do the same thing for pennies. Give your bank a head's up. If you have a credit card with a chip, you most likely won't need to alert your credit card company about international travel plans. But if you plan to use a debit or ATM card, you should notify your bank so transactions don't get denied. Also, if you don't have a credit card offering free foreign transaction fees, you might want to look into getting one before you go. I have a no-fee Capital One Visa that I use while traveling for this reason. If you're traveling on an overnight train ride, I recommend storing your cash in a money belt. Find out info on tipping, as expectations are usually much less than in the United States. I also like to learn a few key phrases (such as hello, good-bye, good morning, good evening, please, and thank you) before I depart. Knowing these will go a long way in building good will with locals, who will see you've put some effort into learning their language. Most good tour books will contain this info. Plan day trips and excursions. I've been booking tours through Viator.com for years, and this is perhaps my biggest travel secret. I love to go on day trips while I travel—you learn so much local history and culture that would be hard to get on your own—and the activities offered on this site are vetted. I’ve never had a bad experience, and I’ve been using this site for more than a decade. Plus, when traveling on day trips solo, I've made friends with people from all over the world. I most recently booked a day trip from Porto, Portugal to Braga and Guimaraes, two Portugese medieval cities. While I was the only English speaker on the five-person tour, the tour guides were super accommodating. 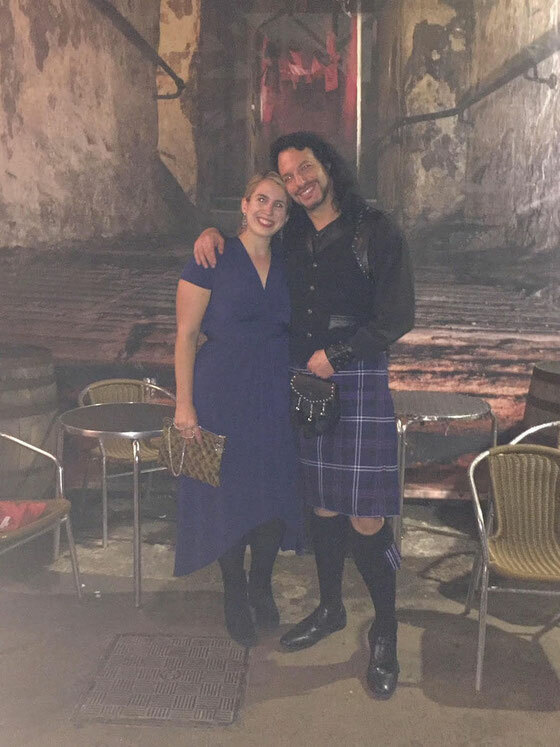 And while touring Scotland over the summer, my boyfriend and I booked a multi-night tour to the Scottish highlands, which was an unforgettable experience. I also use Viator to book food tours, walking tours, and dinner-and-music experiences. 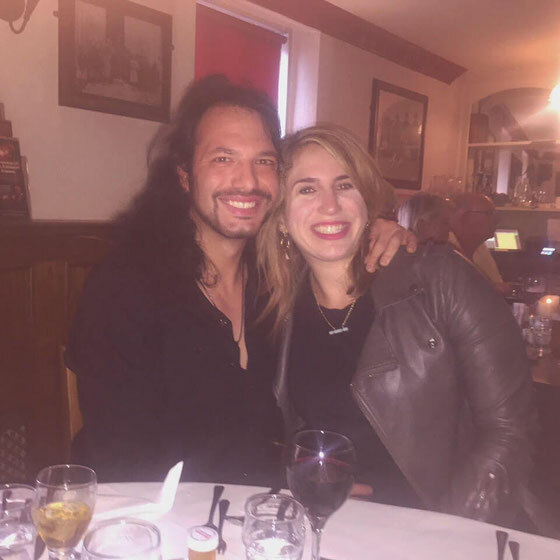 Some restaurants fill up weeks in advance, so I always like to have a few reservations on my calendar—but not so many that I can’t be spontaneous some evenings! Know what you're allowed to bring back. The worst thing would be to spend money on souvenirs, only to find out you can't bring them home! For instance, those Kinder Surprise eggs in Germany might look like adorable gifts for your kids, but they're actually illegal in the United States due to their small parts that pose as a choking hazard! You could get fined $1,200 per Kinder egg! (If you're set on enjoying a Kinder egg state-side, opt for a Kinder Joy.) So if there's anything questionable you're planning on buying (and no, you can't bring back seeds for your garden or fresh fruit), look it up before you go. Wondering what to pack for travel? Let's talk about efficient packing. I'm only going to cover the slightly unexpected here, so you'll want to look elsewhere for a basic packing list. After admiring a colleague’s carry-on bag that slides over a suitcase's handle, I asked my boyfriend to buy me one for Hanukah. This LeSportsac Harper bag is a lifesaver! Gone are the days of me running through the airport, only to pause and readjust the bag that was about to fall off of the top of my suitcase. The best part is that the bag is small enough to double as a very casual purse during the day. It’s lightweight, which means no achy shoulders while sightseeing, and it has an outer pocket for my passport and wallet—essential while hurrying through the airport. 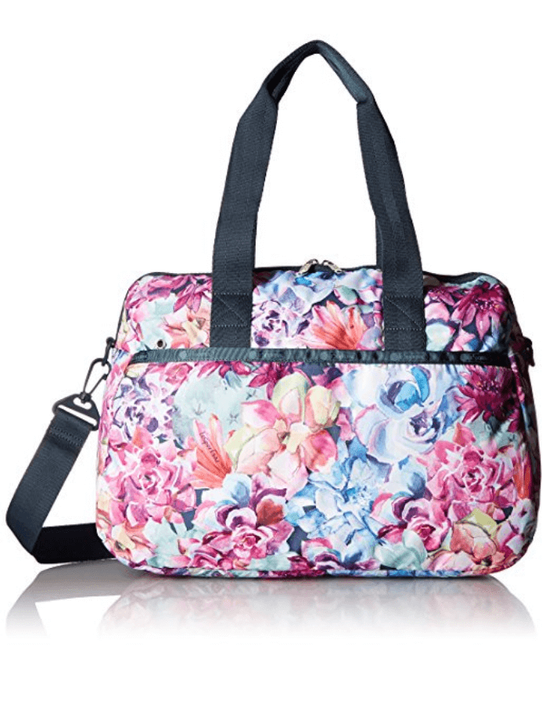 Looking for a larger carry-on bag with the same slide-on feature, as well as outer pockets? Try the LeSportsac Global Weekender or the more economical Weekend Duffle Bag, ECOSUSI Large Travel Weekender, or the Canvas Travel Weekender Bag. These all boast trolley sleeves. This wouldn't be a post in Amy's Eat List without my recommendations for travel snacks. Because you never know the quality of an airplane meal or if you're going to get hangry while on the go in Europe, I like to bring along some staples. My go-tos are fruit-and-nut bars (like KIND bars), olives (such as Pearls Olives to Go! ), single-serve packets of nuts (such as Wonderful Pistachios, or you can pack your own little baggies of walnuts), and portion-controlled packets of dried fruit (like Sunsweet prunes). I'll also toss some fresh fruit into my bag. When you re-enter the U.S., you'll have to declare any fresh fruit, so I'd suggest eating any remaining fruit before you land back home. This colorful bag from Flight 001 (or try a clear bag) holds my liquids in my carry-on. It’s TSA-approved and durable, so I don’t have to think about packing a new quart-sized zip-top bag for every trip. Before I discovered earPlanes ear plugs, I’d have a miserable first few days after landing because it would take that long for my ears to pop. While I probably have more ear issues than most people, you might find that my regimen is helpful for you, too. I use the earplugs for the first and last hour of a flight; they help prevent air from getting trapped in my ears and also minimize flight-associated ear pain. They come in adult and kid sizes. An inflatable pillow has long been a staple in my carry-on bag. It inflates/deflates and so takes up minimal space, versus bulky neck pillows. You may also want to consider a padded eye mask for an overnight flight. While the airplane might have a USB charger for your phone, it also might not. So I like to come prepared with my own portable charger. (I'll also set my phone to low power mode so it will last even longer.) This charger is really small and lightweight and keeps my phone charged all day. Note that it comes with an Android charging cable; if you have an iPhone, you'll need to bring your own USB charging cable. If I can't sleep on a long flight and don't want to pay for Wifi, I'll answer e-mails while my phone is on airplane mode. Then the e-mails will send once I'm connected to Wifi on the ground. My jewelry goes in my carry-on bag for safety reasons, plus a jewelry bag is helpful in keeping accessories organized and untangled. For overnight flights, I always travel with an extra pair of underwear, contacts, eye make-up remover sticks, deodorant wipes, and some basic make-up like concealer, powder, and lip gloss. Flights often arrive early in the morning, hours before hotel check-in times, so I'll freshen up quickly in the airport restroom before heading out for a morning of sightseeing. 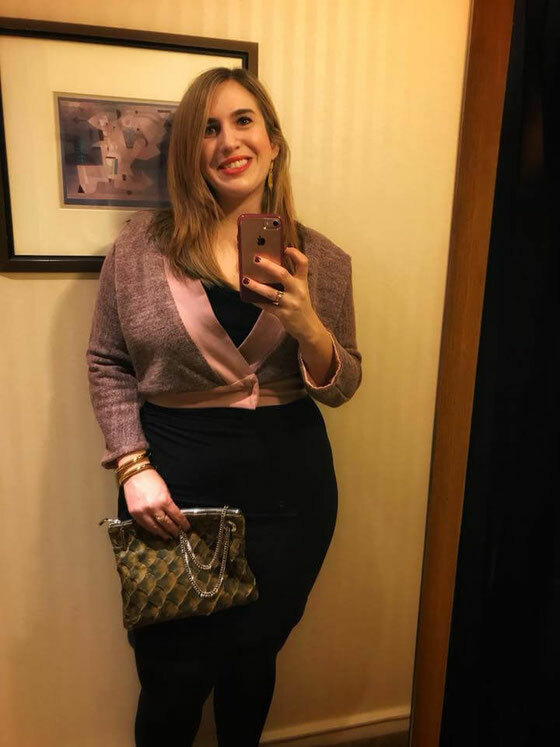 Modeling my fashion finds from all over the world: Sweater and earrings from Lisbon, ring from Paris, and purse from Edinburgh. Let’s talk about bags for a second. I’ve learned what works best by literally destroying my luggage over the years. While in Copenhagen last year, I walked over a mile on cobblestone, losing a wheel on my cheapish suitcase. This prompted me to head to the local department store and find the most amazing hard-shelled, lightweight suitcase with 360-degree rotation and built-in TSA-compliant lock. These things are essential for moving quickly and for locking up your stuff in a hotel room that doesn't have a safe. I bought a Tripp suitcase, made in the United Kingdom—and have seen similar suitcases from Delsey or Rimowa. You can also purchase a separate TSA-compliant lock. 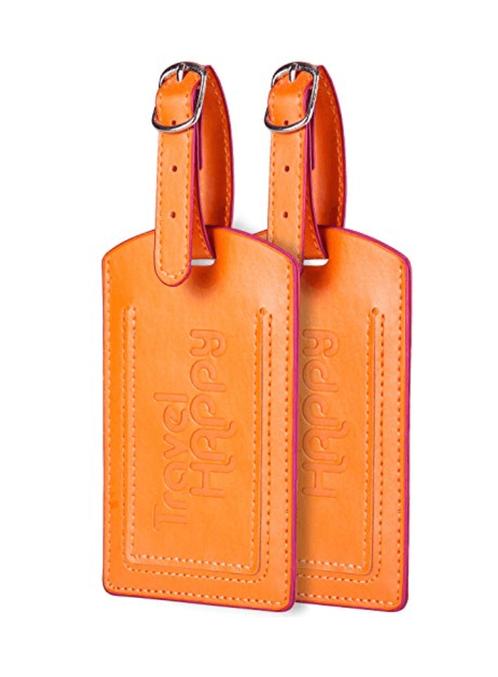 I have a brightly colored luggage tag, helping me easily spot my suitcase at baggage pick-up. This tag is much more durable than the freebie paper tags provided by airlines. I pack an extra lightweight duffle bag for souvenirs, which I use as my second carry-on on my return trip. I like to find unique items that I can use in my everyday life: My favorite leather boots and leather gloves are from Florence, I have beautiful scarves from Budapest, I found a one-of-a-kind fish leather purse from Edinburgh, and I own stunning filigree earrings from Porto and a lovely brass-and-antique-glass ring from Paris. I like to decorate my home with finds from all over the world and have been known to stuff large-ish iron bird sculptures from France in my carry-on bag! 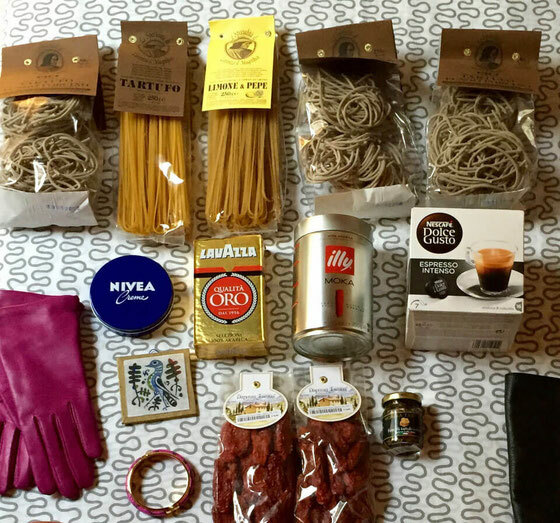 And I stock my kitchen with culinary travel finds, including truffles and coffee from Italy (you can get the best food souvenirs from Italy), paprika from Prague, and port from Portugal. I also shop year-round for birthday and holiday presents, stocking up on items for friends and family when I see them. 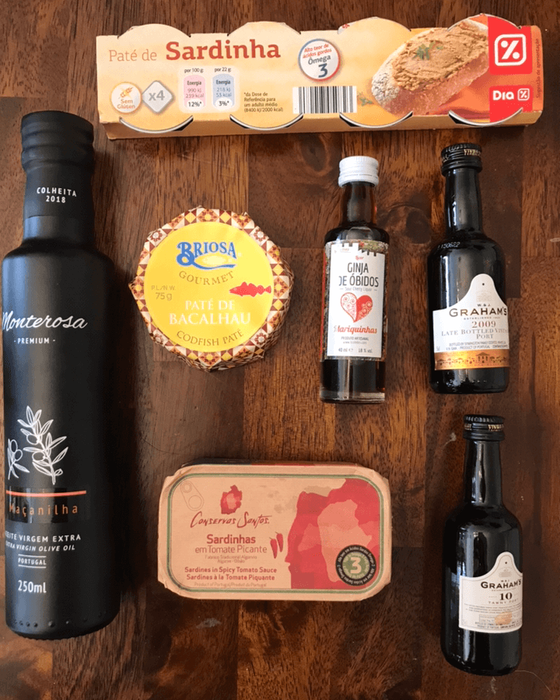 For instance, I bought my boyfriend sardines, which contain the brain-helping omega-3s DHA and EPA, from a recent trip to Portugal. Although it's a low cost, the 10 Euro cents or so that many European stores charge for plastic bags adds up. So I carry my own lightweight, foldable Baggu bag with me to markets and stores. Doing so is better for the environment, too! You won't need a voltage converter if your hair straightener and other hair tools are dual voltage. I like to pack a mini dual-voltage hair dryer, as well. After visiting I can't even count how many hotels that have bad lighting, I started traveling with a light-up make-up mirror. I can apply my make-up with confidence, and I also don't have to worry about having proper lighting to tweeze my eyebrows while on the road! I did quite a bit of research, and this LED-lighted make-up mirror is my favorite. 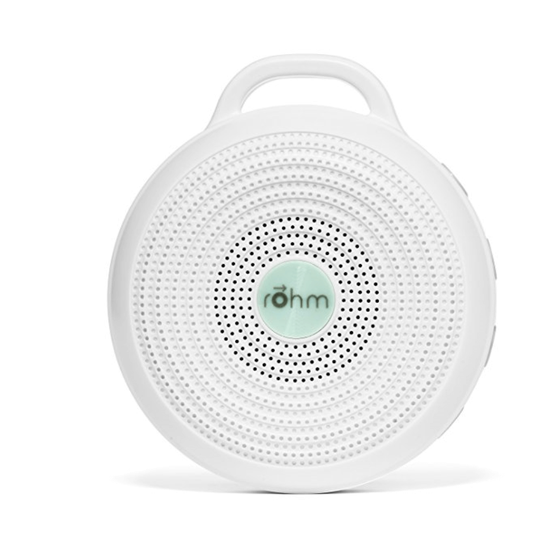 After multiple restless nights due to loud pedestrians and fellow hotel guests, I started traveling with this portable white noise machine. I keep a travel toiletry bag stocked with essentials so I don’t have to move everything over to my suitcase when packing. This includes a mini deodorant, mini Febreze, mini dry shampoo, mini toothpaste, and a shower cap. I have sensitive skin, so I always travel with my own fragrance-free body wash and lotion. I like squeeze bottle TSA-approved containers for my body wash, which will fit in my carry-on if I need them to. I repurpose a 2-ounce OXO Good Grips Mini LockTop Container for my lotion. The top is super secure and won't leak. And although I normally use an electric toothbrush, I don't usually travel with it so will pack a toothbrush from my dentist check-up (or one that I've grabbed from my gym) that I'll toss at the end of the trip. Then I'll buy my make-up at Sephora.com instead of at the physical store, because doing so allows me to receive three free samples with each purchase, plus sometimes an additional trial-size offer. I've scored mini mascara, mini blush, mini bronzer, mini highlighter, and mini perfume this way. I also keep duplicates of some lower-cost items in my travel bag, such as a razor. Here's a random item that I consider essential. After walking miles and miles (much of that on cobblestone) while traveling, my feet often hurt. And foot pain can cause back pain, so I bring along a golf ball to roll my feet out at night before I go to sleep. I'm also a big fan of my travel-sized acupressure mat. I'll bring plastic zip-top bags in various sizes. They come in super handy for sealing cheeses or crackers purchased at the market, for securing liquid souvenirs such as olive oil, and even for storing a wet bathing suit. Now that you've got your bags packed, I highly recommend weighing your luggage so you're not scrambling at the airport to remove items from your suitcase. U.S. airlines typically limit you to 50 pounds per suitcase, and many European airlines have a 23 kilogram cap, which converts in your favor to 50.6 pounds, buying you a tiny bit of extra weight. Luggage scales are typically lightweight, just about an eighth of a pound, so I'll pack one in my suitcase to weigh my luggage on the return trip, too. I have to admit that I planned my recent trip to Porto, Portugal so I'd arrive before the Saturday markets closed. My first stop in any foreign city is to a food market, if available, or to a grocery store. If I have a fridge and a kitchen, I'll stock up on local produce. A colleague I met at a recent sponsored conference in Portugal suggested eating a local fermented food, such as sauerkraut or kefir, to get your gut used to local bacteria. I think this is a great idea for helping to avoid any tummy aches. No fridge? I'll buy snacks such as olives and fruit. In winter in Europe, you'll often find street vendors selling chestnuts, offering an excellent amount of fiber to help keep you full. These markets and grocery stores also make for great souvenir shopping, as you can often find great culinary items for a significantly lower price, versus souvenir shops. If you’re traveling to a country that makes one of your favorite toiletry items, pack a minimal amount to get you through a couple of days and then stock up at your destination. I’m a big fan of Simple Cleansing Facial Wipes, made in the United Kingdom, and the prices are so much less expensive than in the United States. Plus, I found products not available at home and made sure to buy extras of those, as well. On my to-do list before any vacation: A blowout and a manicure. I like to be camera ready, after all! But a blowout only lasts so long, so what to do when you travel for several weeks? On my two most recent Europe trips, I got a blowout mid trip. 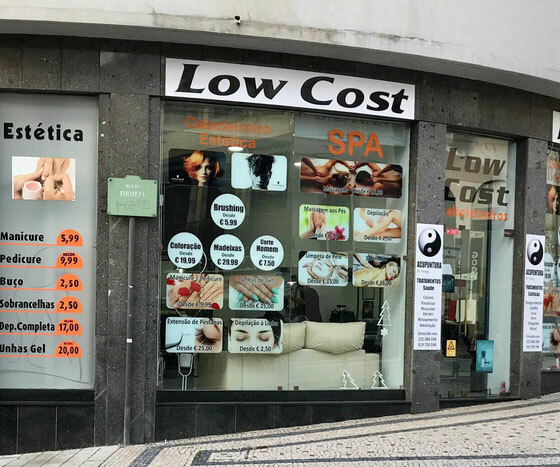 I got some fun surprises, too: a latte with my blow-out in Edinburgh and one of the most amazing blow-outs (or “brushings,” as they call them in Portugal) in Lisbon for only 12 euros. I'll keep the blowout lasting as long as possible with dry shampoo; and I'll put a clear coat of nail polish on nightly to keep my manicure going, too. I’ve had massages in many countries—including Prague, Rome, Edinburgh, and even one at a bathhouse in Budapest. Some days in Europe, I’ve walked a half marathon (that's 13.1 miles) or more—and with cobblestone streets, my feet hurt. So one of my favorite self-care tips is to get a foot massage or even a full-body one. You’ll see many Thai massage houses set up in Europe. While these offer great foot massages, they also provide wonderful stretchy massage experiences. Just walk in for the most part. If you’re feeling adventurous, try an experience that's new to you. This is how I discovered myofascial release while in Edinburgh. It’s a technique that was born in America, but I had never come across it and I absolutely loved the results (a huge relief for back pain). I don’t see a lot of public restrooms while traveling, but I adopted this trick while in Italy: For about a euro, I scored an espresso. And then I didn't feel guilty asking to use the restroom. Granted, one of those restrooms was literally a drain in a floor in a locked room behind a coffee bar! Ask the concierge for help, and you might be surprised. I’ve had concierges suggest amazing itineraries and restaurants, and the concierge at a hotel in Lisbon even bubble wrapped my liqueur and olive oil for me and mailed my post cards free of charge. You never know until you ask! I highly recommend getting local currency from an ATM upon arrival. I used to pre-order money from my bank, only to find out that the conversion rate offered by my bank is drastically different than the one offered by ATM machines abroad. For instance, if I were to order 500 Euros from my bank today, I'd get a conversion rate of 1.3067. If I were to get the same amount of money from an ATM machine in Europe, the conversion rate would be 1.24. So those 500 Euros would cost me $653.35 from my bank or $620 from the ATM machine. While the ATM machine may charge fees, it likely wouldn't be $33.35, which is the difference here. And I like to take out a little extra so I have money for my next trip. I flew to Portugal earlier this month, and I had 155 euros in my wallet. So I didn’t need to worry about whether the taxi I got at the airport took credit cards. I’ve traveled on multi-week trips, and bringing enough clothes would have meant forgoing room for souvenirs—an impossibility! Most major cities have Laundromats where you can drop off your laundry bag. This is way less expensive than having your hotel do your laundry. Find this post helpful? At no additional cost to you, support the maintenance of running this site by using my Viator affiliate links and my Amazon affiliate links to shop. Thank you! What are your thoughts on this topic? What are your best travel tips? Disclosure: While Pearls, Sunsweet, and Wonderful Pistachios are clients of mine, this is not a sponsored post.